Derrick Kosinski & Scott Yager are joined by Natalie Negrotti. The first time Natalia (@NataliaNegrotti) or Natalie, depending who who is asking, came on #ChallengeMania, it was early into her Challenge career and a few episodes into Vendettas. Now she has 2 seasons, a Redemption House, a 3rd place finish on The Final Reckoning, 2 Elimination of the Year nominations and a Rookie of the Year nod in the Challenge Mania Awards under her belt. This is a new Natalie Negrotti. This is Natalia ... See More Negrotti. Natalia joins Derrick (@DerrickMTV) and Scott (@SHOTOFYAGER) to discuss The Final Reckoning, Redemption House, her eliminations Vs Brad and Kyle and Johnny and Tony, the lasting impact some of those battles took on her, getting lost during the final, whether Paulie would have taken the money from her, their move to turn on Joss and Sylvia and break their word and MUCH MORE! This a podcast that covers it all and you do not want to miss it! 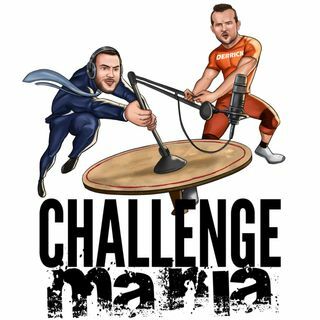 For more Challenge Mania, including bonus podcasts, head to www.Patreon.com/ChallengeMania and consider becoming a patron. Poshmark is giving Challenge Maniacs $5 off their first order when you get the Poshmark app and use the code CHALLENGEMANIA. Even BRITNI (@BritniNicol) is selling her clothes on Poshmark! There is FREE SHIPPING on orders over $45 at www.ChallengeMania.Shop until January 22nd!